August Sander (1876-1964) started his photographic studio in 1910 in Cologne-Lindenthal. This is where he began his life’s work, People of the 20th Century. 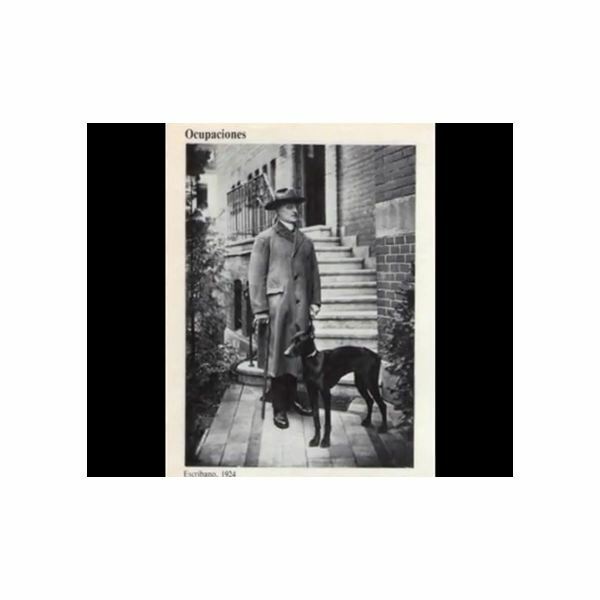 Sander wanted to create a typological catalogue of the German people and by the end of his life he had created over six hundred images for his great work. Sander classified these images into seven archetypes; The Skilled Tradesman, The Farmer, The Woman, Classes and Professions, The City, The Artists and The Last People. In the 1930s he was unable to take images under Nazi occupation as they did not conform to the Aryan type and therefore he spent this time photographing the Rhineland and old Cologne. Part of the work, called The Face of our Time, was published in 1929 but was destroyed by the Nazis. Sander used photography to document, he wanted; “to see things as they are and not as they should or could be" (Tate Online). One example of his images is “Farmers in their Sunday Best, Westerwald, 1913". This image depicts three young farmers out on a Sunday walk; they all carry walking canes and are standing at the edge of a vast field. The Farmers look as if they have just turned and noticed the camera; one of the subjects has a cigarette casually sticking from his mouth. The image, though it would have been set up, has a natural feel to it and gives a sense of who these men are. All Sanders images give you a real sense of the people, who are all photographed in their own surroundings and posed but very naturally. The images are all taken straight on and have a democratic feel, whether the sitter is high class or working class they are treated the same by Sanders. John Roberts in The Art of Interruption states that Sander’s images reflected an “aesthetic positivism" (Roberts: 1998:43) his images showing objectively familiar things and revelling in photography itself rather than photography trying to compete with painting or trying to be like painting. Sander was almost forgotten by the 1940s and it was not until his images were shown at the Photokina in 1951 that there was a revived interest in this great photographer's work. 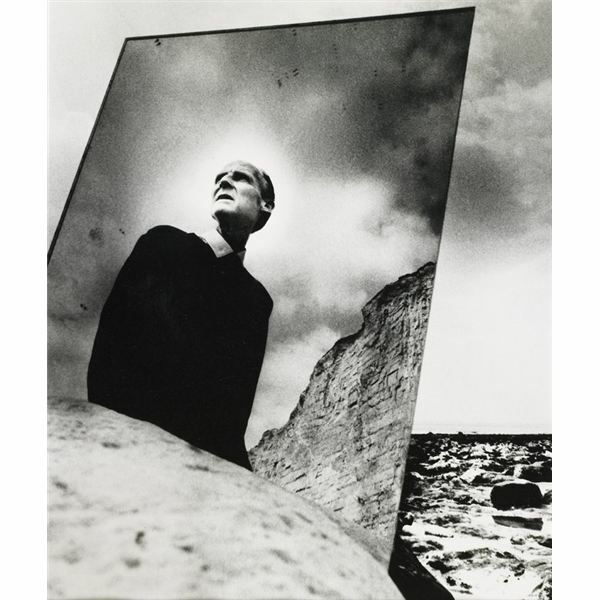 Bill Brandt (1904 – 1983) was born in Hamburg; his father was English, his mother German. After the First World War and the rise of Nazism Brandt disowned his German background and later said that he was from South London. Brandt started his experiments in photography around the time he was staying in a sanatorium in Switzerland for his tuberculosis when he was sixteen. In 1927 he went to Vienna to complete his treatment with Doctor Eugenie Schwarzwald, it was Schwarzwald who suggested Brandt should take up photography as a career. Schwarzwald introduced Brandt to Ezra Pound, who subsequently sent him to see Man Ray in Paris. Brant spent three months in the Man Ray studio in 1929. Images from the late 1920’s were published in Das Deutsche Lichtbild, Minotaure (a Surrealist Magazine) and later in the 1930s some of Brandt’s early images were also published in Lilliput and Picture Post. Brandt did not really get into his stride photographically until the mid 1930s when he started to be interested in Photo-journalism. In 1936 Brandt published his first book, The English at Home, and published images throughout the 1930’s in “The Weekly Illustrated", "The Bystander" and "Picture Post". In the 1930s the series “The Perfect Parlour maid" was published in Picture Post which showed an English parlour maids duties for the day including drawing a bath, setting the table for a dinner, making tea and serving. These social documentary images of the working classes became a staple for Brandt and pictures of coal-miners after a days work, bedrooms in the slums, women washing steps, and common lodging houses all showed life in post First World War Britain. Brandt images expose conditions experienced by the many. Brandt’s images do not look down upon their subject; they simply document and frame the experience of the people within them. Brandt’s image capture faces that are pained and overworked but also they find moments of joy, passion and jubilation. Later in Brandt’s career he concentrated on staged portraits of the famous such as Francis Bacon, J.B. Priestly and René Magritte. Brandt also famously photographed nudes that belied his surrealist training, using space and light to transfigure his subjects. Evans' first set of images that he produced for publication were of Victorian architecture. Evans was an exacting photographer who liked to let the truth reveal itself through its images. After spending much time learning and perfecting the art of using the camera, by 1930 Evans was confident in his abilities and style. He stated at this time that; “the possibilities of the medium excited him so much that he sometimes thought himself mad." (Szarkowski, J. 1971). By 1935 Evans had joined the Farm Administration Authority (FSA). For this project Evans' photographs were used as evidence that the rural population were suffering abject poverty due to the Great Depression. It was these images that shot Evans to fame. The images portrayed poverty stricken children dressed in rags, proud farm workers and families in their meagre surroundings. The New York Museum of Modern Art in 1938 granted a solo exhibition to Evans; this was the first exhibition they had ever given to a photographer. Evans continued to take pictures for the rest of his life though at a slower pace. In 1943 Evans joined "Time" magazine as a writer and photographer and in 1965 became a professor at Yale University. 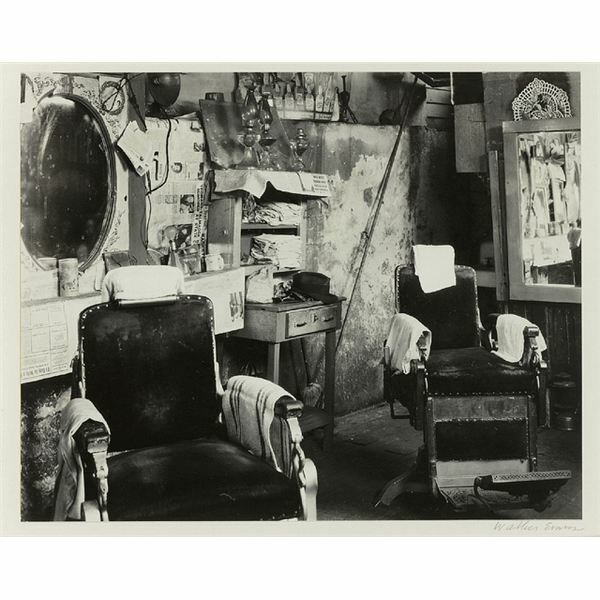 Walker Evans, Bill Brandt and August Sander shared a common ideal that they wanted to find the "truth" in the image. The social documentary photography of the 1920s and 1930s that they produced showed ordinary people to the world. Images that "the man on the street" could relate to.